Did you hear the news? As of January 1, 2016 all insurance providers in Ontario must offer a discount on car insurance rates for drivers that have winter tires on their vehicle. This is part of the province’s initiative to reduce auto insurance rates by 15%, given that drivers in Ontario pay the highest car insurance rates in the country. How much can you expect to save? It depends on the provider, but around 5% or so on your fees. The average cost for car insurance in the Greater Toronto Area is about $1,600, so this would translate to a savings of about $80 per year (source: The Toronto Star) If you use winter tires anyways, you’ll enjoy savings for something you’re already doing. Bonus! As with all things related to insurance, you will get different experiences with different insurers. Some already offer the discount (so if you need to renew your plan before January 1st, it’s a good idea to search out these providers). Some will, but not unless you ask. So shop around, get different online quotes and be sure to check in about this discount if it is not automatically offered or suggested. With this new requirement, the province did not specify how much the discount has to be, just that it has to be there. When getting a car insurance quote, you just need to state that you have winter tires. Your word is enough. However, if you get into an accident and you don’t have the tires, it could spell trouble for you. All season tires do not count for the discount. They must be snow/winter tires. The tires don’t have to be brand new. Generally, all four tires must be winter tires. Different insurers will also have different rules about when the tires must be on. Be sure to ask! At Insurance Buddy, we think this is a solid initiative. Not only is it great for consumers in Ontario to get a new way to save on their auto insurance, but it also encourages drivers in our province to get winter tires if they don’t currently use them. A very important part of driving safely during the cold and snowy months. This benefits everyone! So what are you waiting for? Get those winter tires on! The fall is the ideal time to do so. A good rule of thumb is to instant the tires when the temps hit 7C or so. 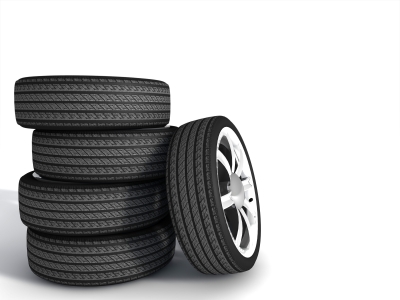 Have any questions about this winter tire discount? Looking for a quote? Contact us anytime – 1-855-237-2905 or use our online car insurance quote system.